Your group is in good hands. 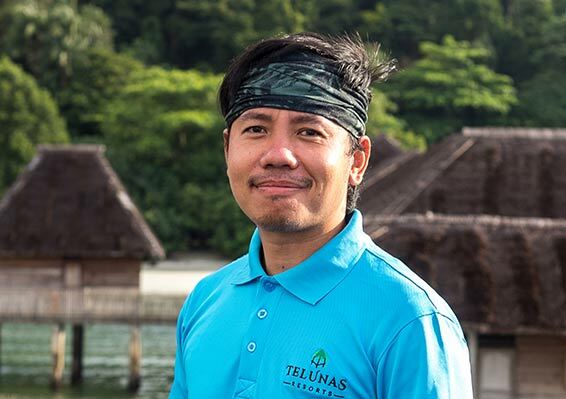 So what makes the Telunas team special? Our team of certified facilitators are equipped with the skills to lead your group. We do not just teach, but we want the students to experience and learn from nature. We take pride in being able to help the community in many ways. We value hiring our staff from the surrounding islands and equipping them with the necessary skills to work at Telunas. Our local trip leaders and customer engagement experts work hand-in-hand with the facilitators during your trip. We are honoured to be able to work with so many great individuals from different backgrounds. The one thing that brings our entire staff together is our passion for working with students. 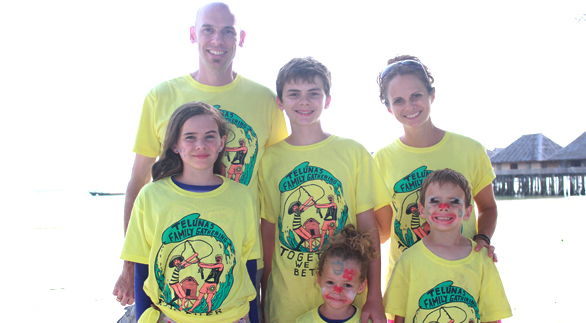 Our team has backgrounds in education and a variety of fields. We work daily with schools throughout the year. Our experienced trip facilitators draw from international school and diverse backgrounds to custom-build a trip for each group. We understand the needs of different group and will be more than glad to adapt the learning experiences and activities to fulfill your requirements. Jennie grew up in the wheat fields of Kansas, chasing storms with her dad, a wildlife photographer, who instilled in her the values and beauty of nature in its purest forms. Jennie finished her BS in Biology there at Pittsburg State University and then moved across the world on a two-year contract to teach in Bandung, one of the largest cities in Java, Indonesia. 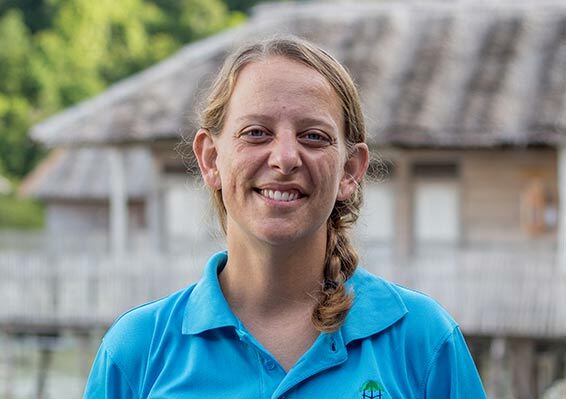 After 11 years of teaching high school biology, Jennie married and moved to the Riau Islands to develop the Telunas School Group Program, train Telunas staff, and oversee property operations. Jennie is fluent in Indonesian, is a NOLS Wilderness First Responder, and loves to do first-hand research of Melayu culture and the coastal ecosystem and share what she learns with guests of all ages from around the world. Paul graduated with a MBA from SUNY at Buffalo and a BA in Studio Art and Linguistics. Paul has been a science teacher in Indonesia, worked with fair trade handicraft development in East Africa and the Middle East, and helped with a mango juice supply chain in Sierra Leone. He is also is a wood-firing enthusiast committed to using local materials, and enjoys training local artisans. Paul speaks fluent Indonesian. Bella grew up hiking the wild mountains of Papua, Indonesia, is a certified NOLS Wilderness First Responder, and speaks fluent Indonesian. She worked at the Raja Ampat Research and Conservation Center in 2015, where she took guests on kayaking and snorkeling excursions and helped with a nutrition program focused on various types of sweet potatoes and moringas. Bella has a passion for our oceans and loves to educate students about ways they can contribute positively to the environment. She graduated from Wheaton College with a BS in Environmental Science with a concentration on Biology. Fun fact – Bella’s favorite animal is a pygmy hippo. Matt grew up in East Java, Indonesia, where he would fill his time climbing volcanoes with his brothers. He worked alongside locals at Saltwater Tours over the crystal clear waters of Sumbawa, Indonesia, which fueled his interest in cultural learning through immersion. 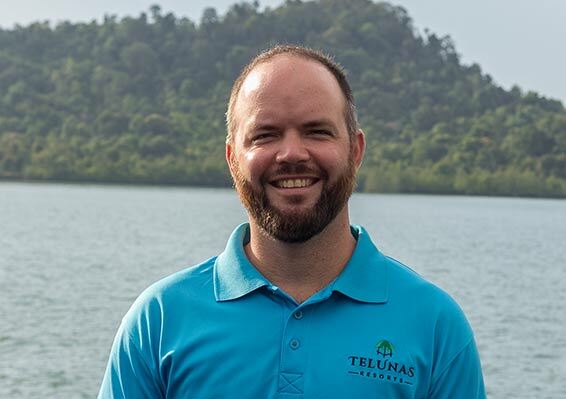 After graduating from Columbia International University with a BA in Intercultural Studies, Matt worked as a Park Ranger in South Carolina and has now brought his family to live an immersed life in the Riau Archipelago. Matt is fluent in Indonesian, a certified NOLS Wilderness First Responder, and loves the feeling of jumping from high places. Deo grew up in North Sumatra, Indonesia. Being Karonese and growing up around cacao plantations, he was familiar with plural worker communities, which taught him to enjoy and value cultural diversity. Finishing his Bachelor’s Degree in Governmental Science at Padjadjaran University in Bandung (West Java), he had another chance to enjoy Sundanese culture, while exploring other cultures as he backpacked around Java and Bali. He also worked a range of jobs from being a assistant studio photographer to logistics in a steel pipe factory. Naturally, he always enjoyed learning about new cultures, services, and outdoor adventures. Deo is fluent in Indonesian (of course!! ), is a certified NOLS Wilderness First Responder, and loves to watch “smart” stand up comedy during his free time. 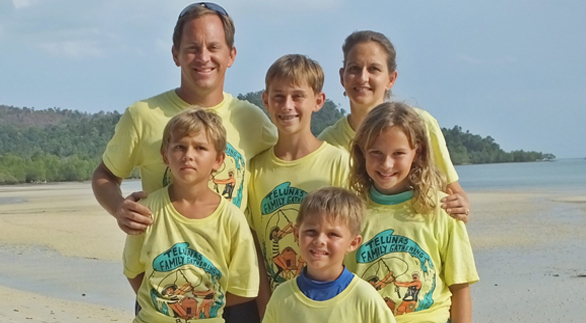 Mike and Eric moved to Indonesia in the early 2000s and founded Telunas Beach which opened in 2004. Eric holds a Master in Intercultural Communication. He is a certified speaker, trainer, and coach for John Maxwell Team. 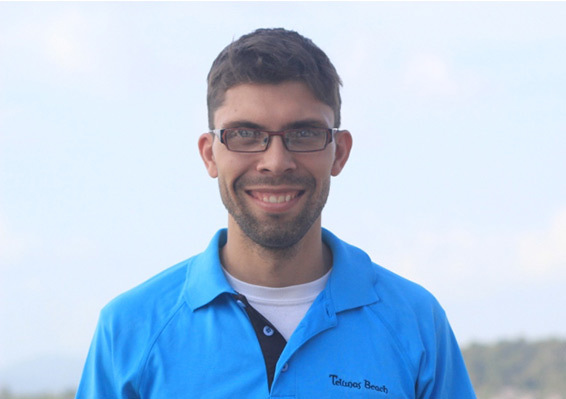 Eric is also a certified coach (CRM) and is certified in First Aid. In addition, he is a PADI First Responder certified and CPR. Eric is the owner/director of BME Services. Michael (Mike) has a master’s degree in Organizational Leadership. He is one of the Founding Members and Certified Speaker, Trainer, Coach, for the John Maxwell Team. Mike is an Accredited International Coaching Federation (ICF ACC) and Master Trainer for Communispond Presentation Courses. He is a former US Army Captain.